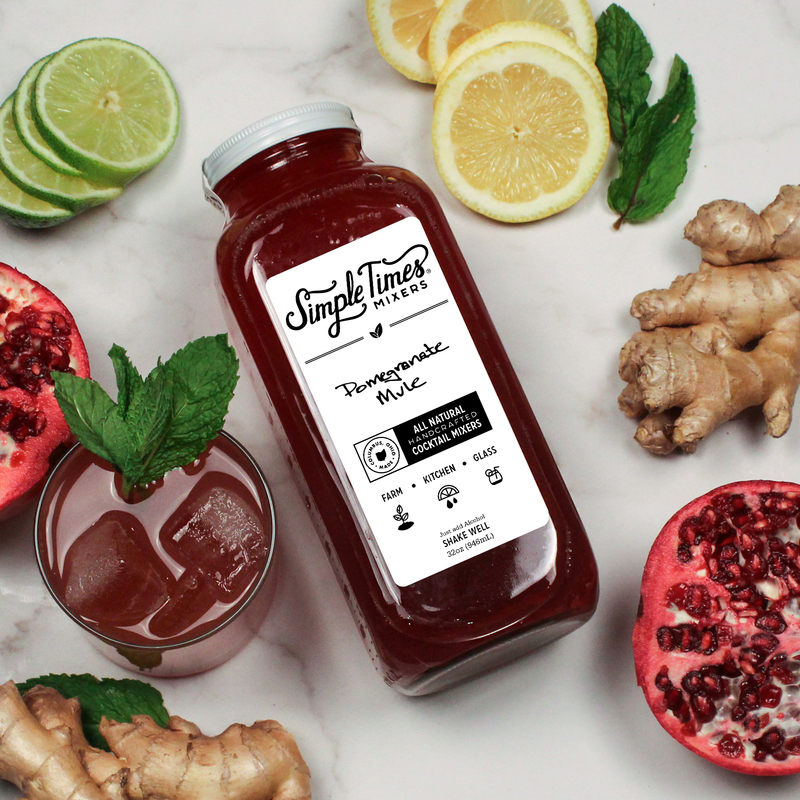 Pomegranate, Lemon, Lime, Organic Cane Sugar and cold-pressed Organic Ginger. Create the perfect craft cocktail mixing with Vodka, Whiskey, Tequila, Rum, Champagne and much more. 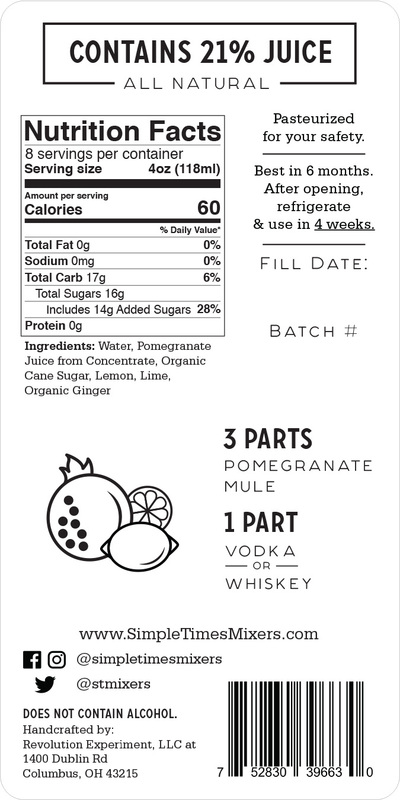 Each bottle makes 8-10 cocktails.